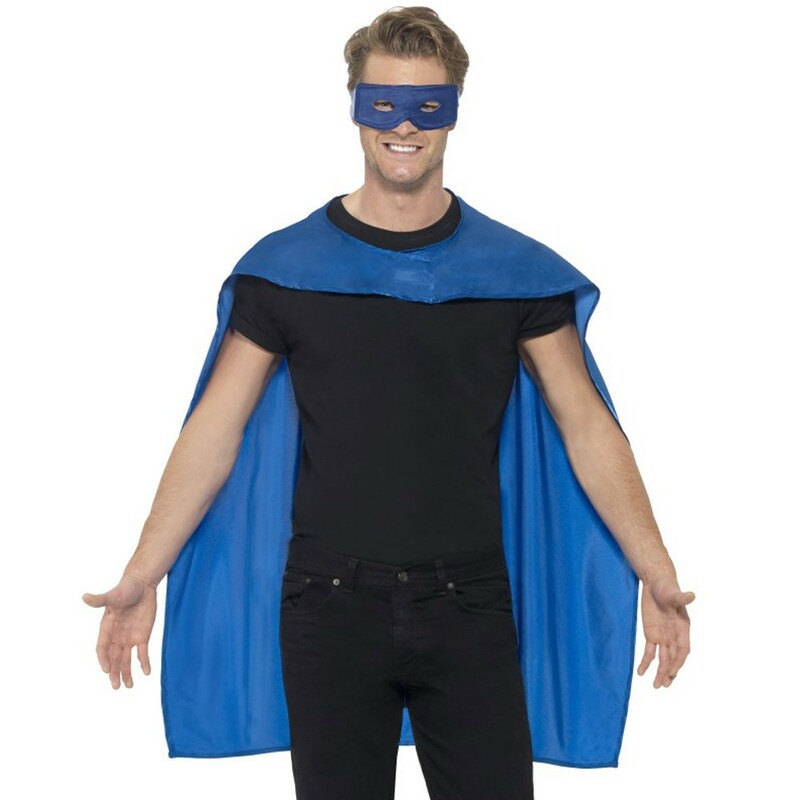 A Blue Cape and Eyemask with a satin Cape and Eyemask – Create your own Superhero look with this easy fancy dress idea, perfect for a Comic theme! Make an instant transformation with this super Blue Cape and Eyemask. This simple Blue Cape and Eyemask superhero kit comes complete including a matching Blue Cape and Eyemask. This mid-length Blue satin cape features a touch close fastening at the front, and combined with the matching Blue satin Eyemask, this quick and simple fancy dress look will be sure to impress. Perfect for a Superhero theme, a TV & Film theme, a Comic theme, Book Week, or any fancy dress occasion, this Blue Cape and Eyemask will be sure to transform you in no time! So save the party in style with this Blue Cape and Eyemask!